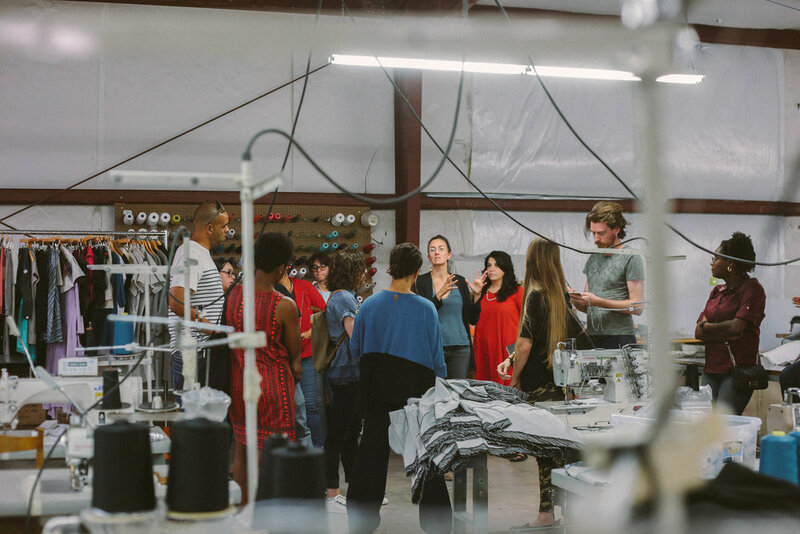 This past September one of our founder Auralis Herrero-Lugo visited North Carolina for a week-long seminar on Crafted Production and Democratic Workplaces hosted by the Carolina Textile District. 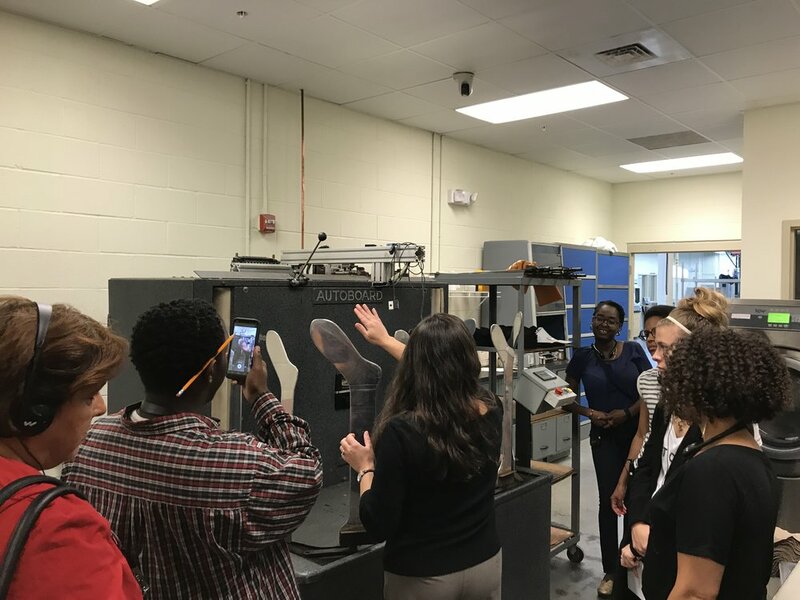 A group of manufacturing operations in the area that got together post-recession back in 2009 and decided to start helping each other survive and eventually thrive. They now host various events to teach other clusters of industries what they did and why it worked. But this story doesn’t begin here. It begins in March when Retazo started, thanks to a creative industries grant from the Department of Commerce and Export in Puerto Rico. 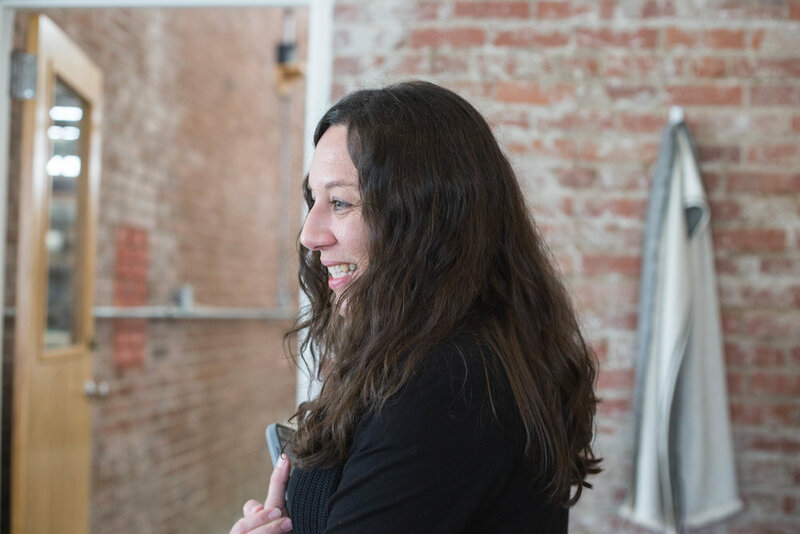 Auralis won a $5,000 grant to start Retazo at the end of 2016. As it happens the fiscal board that took over Puerto Rico froze the grant in September, leaving our founder to figure out how to get to North Carolina and afford it all. Colonialism has a way to sneak up on you no matter what. The CTD wanted to help me and Retazo be a part of this cohort so we made a barter, her interpretation skills for the Clandestina team who was coming from Cuba in exchange for the seminars. The perks of being bilingual! 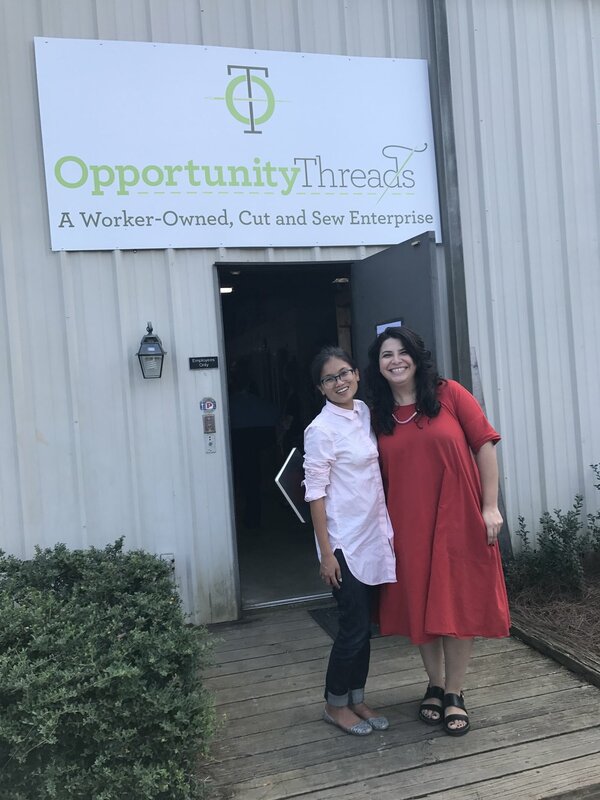 Opportunity Threads is a worker-owned, cut and sew textile plant based in the foothills of Western North Carolina. We focus on sustainable production for entrepreneurs and mid-sized companies. We spent a lot of time together in the conference room sharing stories about product development, democratic work places and sewing. Some of the worker-owners have been there for 7 years. They have learned to talk about their work in front of strangers and are proud to share their accomplishments. Is the manager of the factory and a worker owner, she was giving us the scoop on what they do, how they do it and why it has worked. Creates a different type of worker, and empowerd one that is excited to make it all work. When I wasn't interpreting I was participating in the seminars, absorbing it all. Cynthia and I bonded over hurricane relief efforts in Puerto Rico, Cuban ways and all things tropical in design. Now I have a cuban sister to visit ! Kept us all on schedule and ready for a week. The Carolina Textile District intake coordinator, a great story teller and a very kind soul. Sara and Molly helped me get there, these two women are a force of nature. 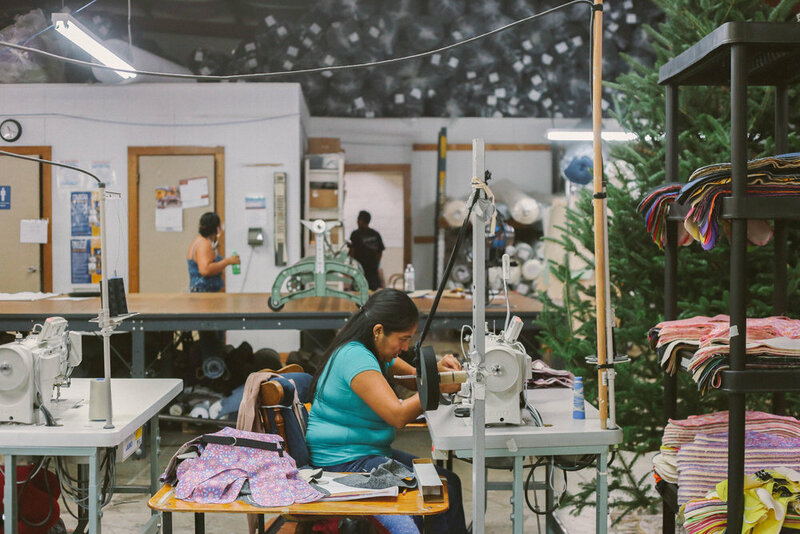 The week included tours to a range of sewing operations big and small plus the insight from the owners and workers. 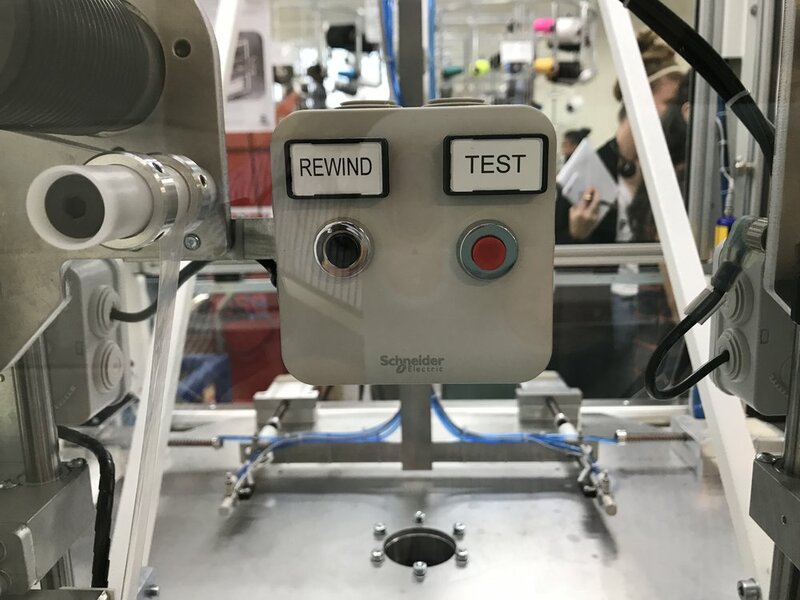 I had a fantastic time and learned a ton about modular small batch manufacturing, crafted production and keeping democracy alive and well in the factory floor. We had a tour of the Manufacturing Solutions Center, where I have the coolest video about making a sock! 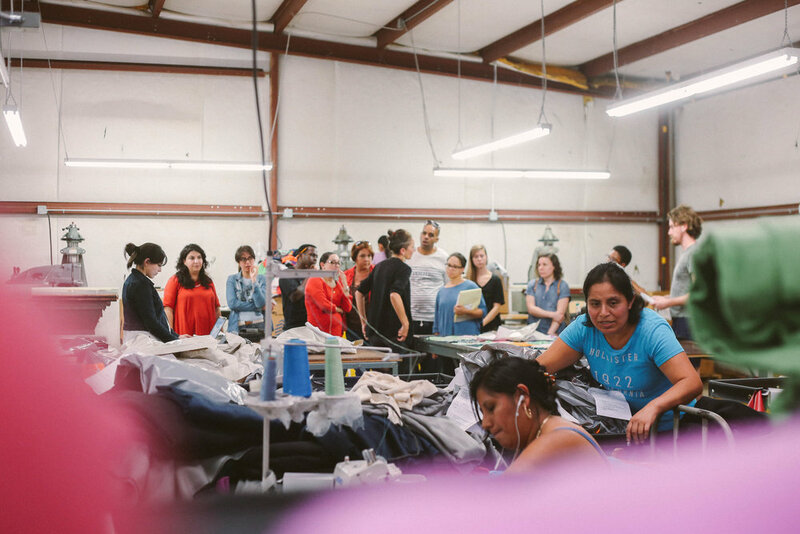 There were a small group of other entrepreneurs with the desire to manufacture in their communities from all over, Cynthia & Odalis from Clandestina, Alia from Zayda, Kya and Brittany from Uptown Sweats, Kris from Stitch Texas, Jonathan and Lucias from Safe Passages, Betsy Cook and Sasha Hammad. It was an awesome time learning together for a week. Doris a legend around the CTD! This machine turns a roll of fabric into binding, I was geeking out bad. The Manufacturing Solutions Center is a non-profit organization located in Conover, North Carolina. We are a division of the Catawba Valley Community College. Our mission is to improve, develop and create. We strive to improve quality and efficiency, develop new products and create/retain jobs. SewCo. 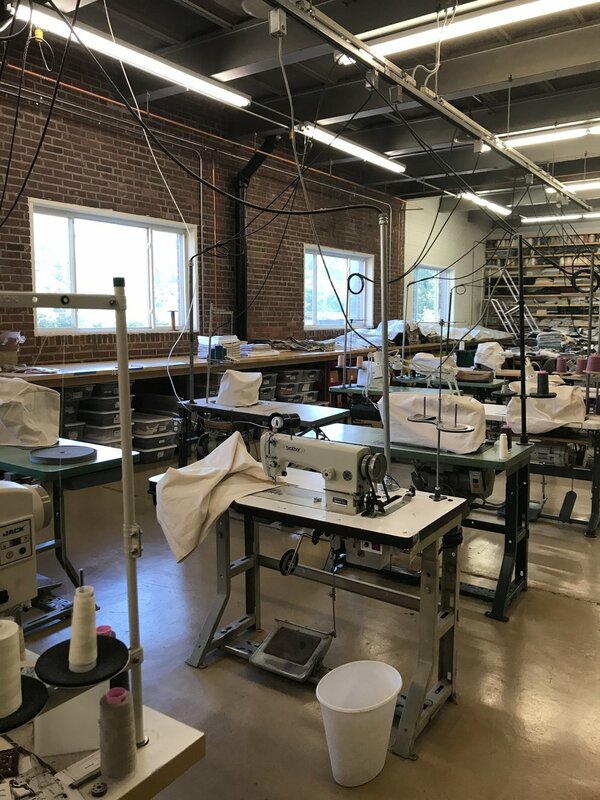 is a full-service cut and sew manufacturer of highly crafted sewn objects with socially responsible and unconventional business concepts. 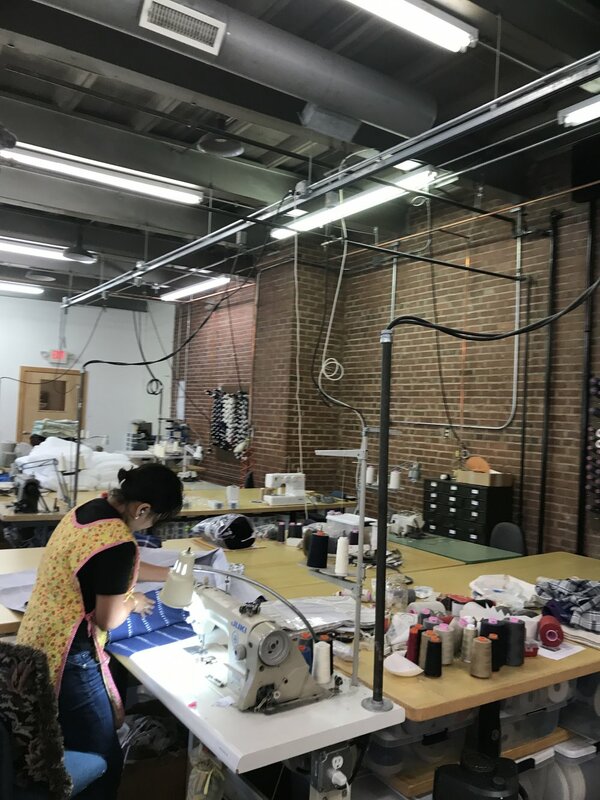 After watching thousands of textile job move overseas, Sew Co. was founded in 2010 as an effort to preserve the skill of sewing and our domestic manufacturing economy. We provide living wage work in a light-filled studio. Our focus is on discerning quality. We believe the way to compete with overseas production is through exquisite craftsmanship. The brick, concrete and glass block center core of The Mill was built just after World War II, although it is unclear what its original purpose was. Additions were built in the 1950s. At 72,000 square feet today, its two floors are connected by a freight elevator. In Hendersonville, The Oriole Mill building is most remembered as a former frozen vegetable packaging plant, which explains its now unused rail spur. Stephan and Bethanne purchased the plant to house The Oriole Mill in 2006. It had been badly maintained. Its roofs leaked, electricity went through fuses, not circuit breakers, outside walls were not insulated, broken windows not repaired, etc. Renovation and reuse of spectacular but worn down old buildings is creating a new South, of which The Oriole Mill is a part. As recast into its role as design studio and mill, the space features natural light and comfort. 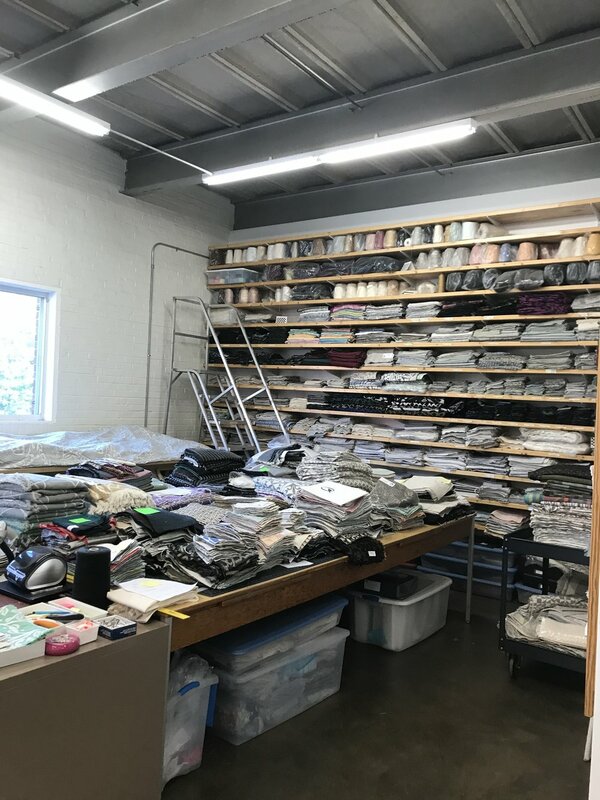 The mill’s first yard of Jacquard fabric was woven in 2007. Renovation continues, as we construct a full kitchen and eating area, offices and display rooms, and add looms and other facilities. Also, a special shout out to Asheville food, so good, so inexpensive and well made.